Dental Implants: Improve Your Smile, Today! Dental implants can dramatically improve your smile! With them, people all over the San Francisco Bay Area are rediscovering the comfort and confidence to eat, speak, laugh and enjoy life. Patients come to us from San Francisco, Oakland, Daly City, Marin County and other cites in the Bay Area – all in search of that perfect smile through affordable dental implants. Click to email us or call (415) 992-9188 for a free consultation! We specialize in restoring smiles with affordable Dental Implants, designed to provide a foundation for replacement teeth that look, feel, and function like natural teeth. Regain the ability to eat virtually anything and smile with confidence, knowing that your teeth appear natural and that facial contours will be preserved. The implants themselves are tiny titanium posts that are placed into the jawbone where teeth are missing. The bone bonds with the titanium, creating a strong foundation for artificial teeth. Implant supported teeth are the closest thing possible to natural teeth. They look, feel and function just like your natural teeth. Regain your confident smile and retain your active, youthful lifestyle with dental implants. Replace a single tooth, multiple teeth, or even all teeth in teeth in a day. Another term used to describe this exciting technology is ‘all on four‘ dental implants. We are also one of the first Bay Area centers to offer Trefoil dental implants which are a new, affordable options to secure dental implants. Under the direction of Dr. Alex Rabinovich, we use a top dental implant brand NobelBiocare at affordable, competitive (some would say even ‘cheap dental implant’) prices. Our goal is to harmonize the cost of dental implants at the highest quality standards, unique for each dental implant patient in the SF Bay Area. People often start with a search for dentures or tooth / teeth implants (tooth replacement) in the Bay Area, or even teeth implants in San Francisco, or ‘all on four,’ only to discover modern dental implant surgery. 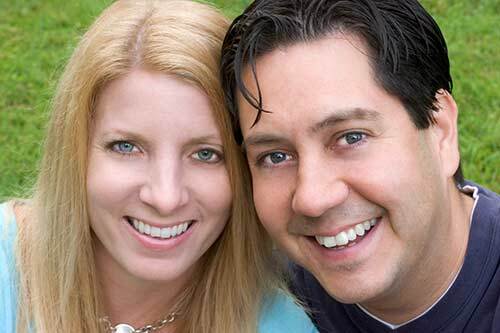 Reviews of Dental Implant Services: Read our Reviews! Getting dental implants is a big decision! People often look for cheap dental implants, but really what you want is affordable: great quality, at great pricing. You may need just a single dental implant, or you may need a full mouth dental implant. 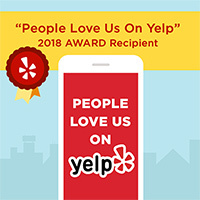 You may have gotten here by a referral from your dentist or oral surgeon, or you may have conducted Google and Yelp searches to look for the best dental implant specialists in the San Francisco Bay Area. Either way, we are very proud of the dental implant reviews of our center and of Dr. Alex Rabinovich. While education, expertise, and board certification of course matter much more than the reviews of lay people, it is the lay people who enjoy our dental implants day in, and day out. So we are understandably very proud of our dental implant reviews. Though located in San Francisco, we serve the dental implant needs of many Bay Area residents. We’ve posted easy directions for patients – so use these pages for easy information to/from our center and nearby Bay Area communities. For example, we have patients coming from Walnut Creek, near us from South San Francisco, and Sausalito. Other Bay Area cities served include San Ramon and San Mateo for Dental Implants (updated March 15, 2016!) as well as Redwood City. Among East Bay locations, our SF offices are not difficult to get to via Bart from Pleasanton, Oakland, Hayward, El Cerrito and even Dublin. Daly City of course isn’t far from San Francisco, so patients seeking Daly City Dental Implants come to us, as do patients seeking Palo Alto Oral Surgeons performing dental implant procedures. Then there’s Pacifica, Mill Valley, Danville, California dental implants and dental implants Burlingame. Finally, San Francisco and the Bay Bridge bring us quite a few dental implant patients from both Albany and Alameda So wherever you are in the San Francisco Bay Area, your affordable dental implant choice is not far away!